Based on 312 customer ratings. Our convenient Des Plaines dine in, delivery, and carryout location makes getting the Chicago-style pizza you want easy and fast. A passion for handcrafting the most irresistible stuffed crust pizza pie makes Giordano’s the best pizza place in Des Plaines! Since 1974, Giordano’s has served Windy City residents and visitors its famous “Chicago-style” pizza, and we’re one of the few pizzerias in the world that pioneered this one-of-a-kind pie. 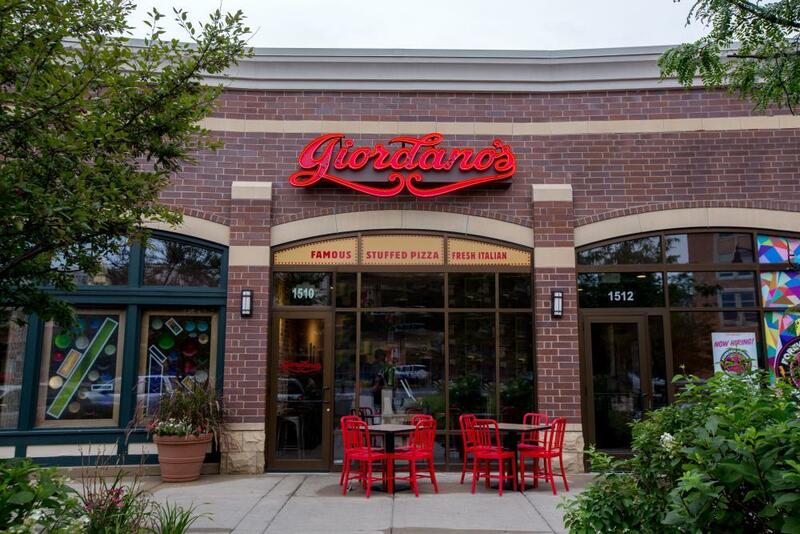 Order the best pizza delivery from Giordano’s and you can enjoy a taste of Chicago’s favorite pizza right at home in Des Plaines! Every Pie Made to Perfection Craving one of our famous stuffed pies? Stop by our convenient Des Plaines location which offers delivery, carryout, catering, and a dining area for you and your loved ones to stop by and enjoy a meal. We have carefully trained artisans and delicious ingredients. Giordano’s also has a menu of sandwiches, salads and pastas available for dine in, take out, and delivery. Need gluten-free choices? Just ask — there’s something for everyone to love at Giordano’s.